Easily one of the most surprising franchises of the 21st Century, Pirates of the Caribbean has taken a theme park attraction and created five films from it. Of course the first film remains the best, with each subsequent film dipping in quality from the last. And yet here is the 5th film, 14 years later, lead by the same Captain that captivated and entertained audiences with his cunning ability to always luck out. Thrust into an all-new adventure, a down-on-his-luck Capt. Jack Sparrow (Johnny Depp) feels the winds of ill-fortune blowing even more strongly when deadly ghost sailors led by his old nemesis, the evil Capt. Salazar (Javier Bardem), escape from the Devil's Triangle. Jack's only hope of survival lies in seeking out the legendary Trident of Poseidon, but to find it, he must forge an uneasy alliance with a brilliant and beautiful astronomer (Kaya Scodelario) and a headstrong young man in the British navy (BrentonThwaites). The film features a tried and true Pirates of the Caribbean story with so many elements pulled from the other films and slapped together into this one. While the result is certainly an improvement over the last entry, by a wide margin, Dead Men Tell No Tales leaves a lot to be desired. There is very little urgency for the characters despite them all having some reason to be on this adventure and with no urgency a large portion near the middle drags. The pace doesn’t really pick up all that much until the finale, which is actually really enjoyable, but by then it’s too late. While the story is nothing particularly new or unique for the franchise, it does add some interesting pieces to the crew. Brenton Thwaites and Kaya Scodelario are welcome additions to the aging franchises and deliver solid performances. Both bring a chemistry back that wasn’t present in the fourth film and this entry definitely benefits from their presence. Javier Bardem plays a fantastic villain, which is fairly obvious based on his past filmography, but throw in some stellar effects and his villainy becomes even creepier. And then of course there is Johnny Depp. The man gets wackier and wackier as Jack Sparrow with each subsequent film, and rather than a smart man playing the fool of the original, the character is now a fool playing smart and getting lucky. Depp is still likeable in the role but Jack Sparrow is really not much of a character anymore. The franchise, like Depp, continues to become crazier and crazier. The supernatural is nothing new, that’s been around since the beginning, but the action scenes are continually over the top and highly unbelievable. Some are fun though, particularly a scene that features ghost sharks. I repeat ghost sharks. The film is still far from the swashbuckling adventure of the first film but it’s closer this time around than last. 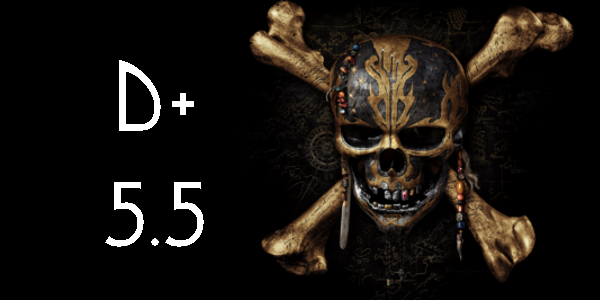 Overall, Pirates of the Caribbean: Dead Men Tell No Tales is a step in the right direction if the filmmakers are attempting to right the ship, but it still misses the mark a bit. Johnny Depp is still enjoyable in the role of Jack Sparrow even though the character is pulled back in favor of the younger cast. The supporting cast handles their roles perfectly fine and the film is full of cool visuals, but it doesn’t quite mesh together to create a good film. With some iffy pacing, off humor, and unoriginal story, the fifth film in this franchise doesn’t sink the ship but it certainly doesn’t help all that much either. 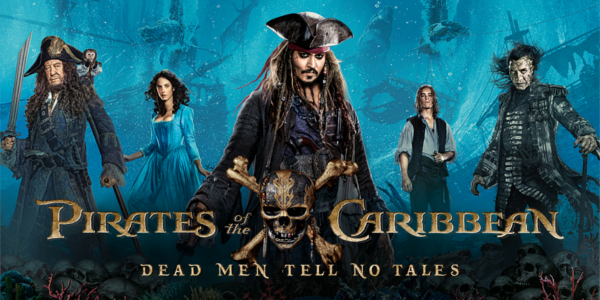 So what did you think of Pirates of the Caribbean: Dead Men Tell No Tales? Have you seen it? And what's your favorite of the franchise? Share, subscribe, comment below, and as always return to I Am Sam for weekly reviews and insight.